The florists of G Fiori Floral Design are highly experienced individuals who have worked in a vast number of fields to do with hospitality, floral design and interior design. This combination of talent has made a company that can offer some of the most beautifully arranged flowers in Los Angeles, CA. When Guillermo Del Pero and Anne Donahue Schwartz opened this Los Angeles florist their goal was to become the best in the city. By reading their testimonials and seeing their awards it is clear they have achieved this. 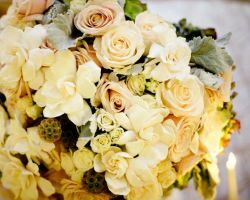 Rather than searching local flower shops for something that will match your wedding style, you can hire a floral design studio to put all their creativity into stunning bouquets made just for you. 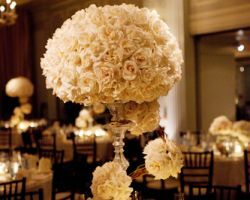 Petals LA adds innovation and sophistication together to craft some of the most breathtaking wedding arrangements in the industry. Sourcing exotic blooms from around the globe, Spanish flowers, delicate orchids and any other flowers that embody beauty, they combine them to perfectly complement each other and your wedding ceremony. Having become renowned in the local area for her fancy bouquets with eco-friendly flowers that have a modern yet classic design, Amy is head-and-shoulders above most other florists. Her pricing system is clear and enables couples to budget for her amazing skills right from the beginning. Starting at $800 for an entire event, her arrangements may not be cheap but for the quality you will be receiving, her blooms are worth every penny. If you need further convincing, then her shining testimonials full of nothing but praise. A beautiful custom designed flower arrangement at your wedding is crucial when you want lifting and celebratory décor. The Wild Flower specializes in making their flowers stand out and impress your guests but also fit into the style of the event so each bloom complements everything else in your venue. This talent has been built up over many years of serving the local community and has result in The Wild Flower becoming one of the premier flower shops in the entire state. If you are looking for personalized care from a team of florists dedicated to your complete satisfaction then Floreria Perlita is the perfect choice. 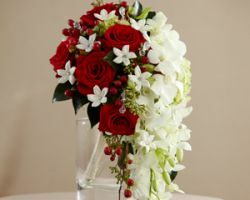 They not only specialize in wedding flowers but also in every other kind of arrangement. 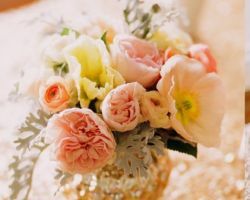 This means that if you are a traditionalist, you will have those classic bouquets adorning your ceremony and for the contemporary couple they have all kinds of modern twists to add. 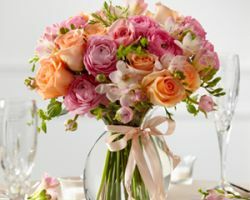 With affordable flower delivery in Los Angeles in addition to their great prices, Floreria Perlita is a top choice for many Californian couples. One unfortunately overlooked aspect of a wedding is the flower arrangements. Paul’s Unique Creations knows this happens at many celebrations and aims to express how crucial the right bouquets can be to the overall atmosphere and style of the day. Whether it is the blooms the bride is carrying, table decorations at the reception or accessories in the wedding chapel, Paul’s Unique Creations is ready to create something special. 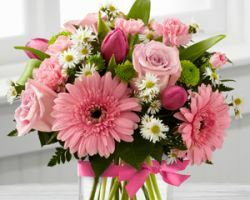 With reliable and quick Los Angeles delivery you can also be sure your flowers will arrive on time and in impeccable condition.